For those of you who did – and didn’t – make it to BitSummit Volume.6 (2018) this is our recap (3/5) of the coolest games for iOS, Android, PC, Mac, Linux, PS4, Nintendo Switch and even the classic NES!? – which was originally released by Nintendo back in 1983 – so without any hesitation, let’s get started. 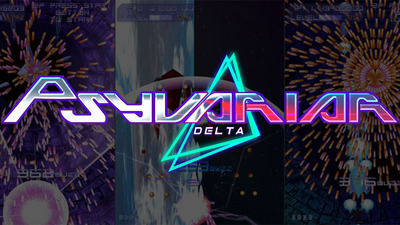 Psyvariar Delta is a bullet hell style shooter game for PS4, Steam, and Nintendo Switch. Originally released back in the year 2000, Psyvariar Delta is about avoiding bullets as close to your ship as possible in order to score points and earn XP. For fans of the title, Psyvariar Delta will be available in the US starting 30th of August 2018. Alleys Escape is a game about a gamer challenging himself/herself to escape from a theme park. Unlike a lot of escape games which are very popular in Japan – as well as Asia in general – your mission in this game isn’t set to a specific storyline. You can combine different elements together and find your very own escape route. The game is expected for release on iOS, Android, PC, and Steam. The game is available on iOS and Android – and the English version of the game will be out sometime between now and next month. World for Two is a game about a scientist and his robot assistant who strive to restore life on planet earth. After a mysterious disease kills off all living things on planet earth – plant life such as trees seem to be alright – your mission in this game is to help your master – the scientist, and the last living creature on planet earth – restore animal and human life. If you like pixel art, you’ll love this game. ECHO is playable on both a standard keyboard as well as a game controller, and kind of requires some getting used to. Once you figure out how to use the controls it should be a lot easier. During our brief turn playing the game at BitSummit, we really enjoyed how the game allowed players to power up their weapons during a level. Unfortunately, we’re not quite sure if the upgrades you make are carried over to new levels or not. 20 years from the original release of La – Mulana, La – Mulana 2 features the story of Lumisa Kosugi, the daughter of our hero in the first game, and is now finally ready – or at least nearly ready – for release! After being in development for a total of 4 years after it was funded on Kickstarter, La – Mulana 2 is set for release this summer and will be available on Steam, PC, and Mac.